A petition has been launched to remove Paris Hilton from a US festival bill. 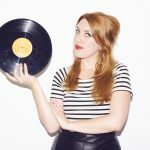 The heiress had been booked to DJ Milwaukee’s Summerfest alongside The Flaming Lips, Santigold, Public Enemy and Jane’s Addiction, but an online campaign has now received over 4,800 virtual signatures from people who think she should be taken off the line-up, reports Consequence of Sound. Paris Hilton has claimed to be “one of the Top Five DJs in the world”, with it revealed that she earns more than £600,000 ($1 million) for some of her DJ sets. Hilton, who also had a fledgling pop career in 2006 with an eponymous solo album, began DJing in 2012 with a not-too-successful set at the Pop Music Festival in Sao Paulo, Brazil. During her debut outing the singer was reported to be mainly dancing, rather than actually DJing or mixing any of the tracks. Watch a video of Paris Hilton DJing below.